After months of disrupting the Twitter accounts of major U.S. media outlets, The Syrian Electronic Army Leader Says that they won’t Stop hacking. Just two days before SocialFlow, a social media optimization platform was hacked by Syrian Electronic Army and readers on certain stories being redirected to the site of the Syrian Electronic Army. The hackers hit four journalists employed by the New York Post, the tabloid’s Facebook page, and a columnist for The Washington Post. 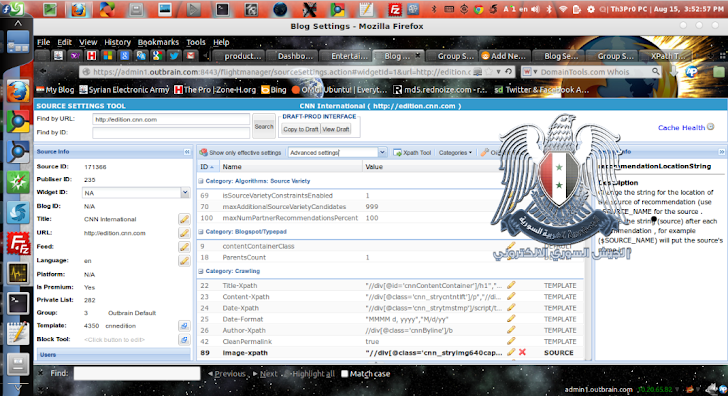 Syrian Electronic Army today announced that they hacked into the admin panel of Outbrain, a content recommendation service, used my millons of websites including The Washington Post, CNN, TIMES and also by us at 'The Hacker News'. They edit many parameters tp "Hacked by SEA" from the website panel , that actually reflects on major websites in widget as shown in above screenshot. 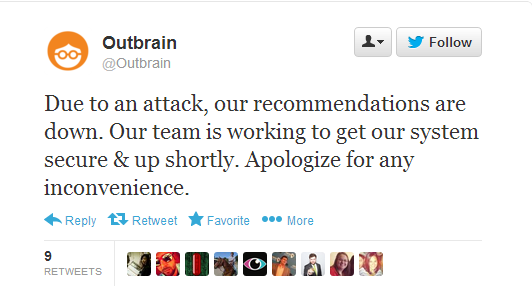 Hackers also claimed to have access to Outbrain's email box. The people behind the pro-Assad SEA have long been a mystery, and is made up primarily of nine college students, all of whom are living in Syria. We are aware that Outbrain was hacked earlier today and we took down the service as soon as it was apparent. The breach now seems to be secured and the hackers blocked out, but we are keeping the service down for a little longer until we can be sure it’s safe to turn it back on securely.